Adults who feel in sympathy with the purposes and programs of JRUUC can sign the official Membership Book at any time. There is a bi-annual Joining Service to honor our new members. Individuals interested in joining JRUUC usually attend an “Exploring Membership” class, which happen 2 times per year, once in the fall, and once in the spring. The life of each JRUUC member can be enriched by the privilege of being a steward of the congregation, thereby bettering our society, our fellow congregants, and ourselves. Supporting our Unitarian Universalist principles is, indeed, a privilege. Members are stewards of our Beloved Community by . . .
Book-signed members receive a copy of the UU World magazine sent to their house, so it’s important to update mailing addresses with the JRUUC Office. 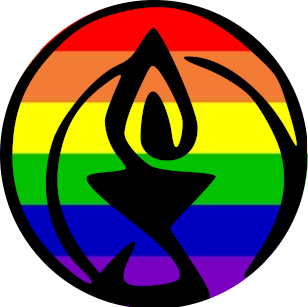 Additionally, JRUUC contributes to the wider UU movement by sending money to the Unitarian Universalist Association and to the MidAmerica Region on behalf of each member. Fair Share contributions for 2016-2017 are $60 and $25 per book-signed member, respectively. Join the online conversation in this Facebook group for Members and Friends of JRUUC. For more information about being a JRUUC Member, please contact the JRUUC Office.